As a dietary supplement, take one capsule two times per day with water. It is assumed that between the age of 1 and 20 years the daily magnesium growth in the body system amounts for 3.2 mg. Because of this also the demand for this element raises. It is believed that for each additional kilogram of body weight, the body system needs 300 mg of magnesium, and for each kilogram of muscles – 200 mg. 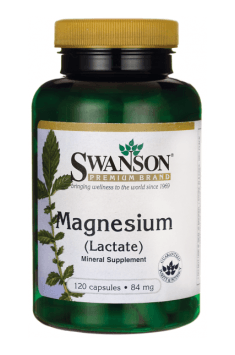 The standard daily supplementation with magnesium should amount for 200–400 mg, applied with a meal. However, it is believed that lactates are the best absorbable forms, so, although their dose is smaller than in case of other forms, they can be just as effective. Dietary supplement improving mood. It reduces nervous tension and supports memory. A complex of vitamins and minerals enriched with amino acids and plant extracts.